Situated at the heart of the UK, Signature RV is easily accessible from the motorway network and a stones throw away from Birmingham International Airport, based on the well know Westcroft American Motorhomes site on Cannock Road Wolverhampton and with over 25 years of experience within the American Motorhome industry you can be assured that you will receive top level sales advice backed by industry leading service experience. We are the UK & Europe`s only authorised concessionaire for Thor Motor Coach who now are the largest manufacturer of RV`s operating out of state of the art plants in Elkhart Indiana. 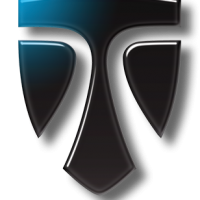 We supply the UK’s public, companies and the motorsport industry with the full Thor Motorcoach range starting from the European sized Vegas right through to the flagship of the range the Tuscany. Along with the New Thor Motor Coach range we carry a good selection quality pre-owned stock many of which were originally supplied new by ourselves. It is not just sales were we excel, our service department is the industry’s leading example of exceptionally customer care & service. 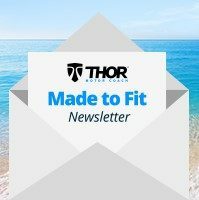 If being main dealers for Thor Motor Coach wasn’t enough we offer the same care and dedication to work on any American motorhome you may have. It’s all well and good having a dealership who can work on the motorhome side, but what about the main part, Chassis & Engine? Signature RV are here to provide instant service for you. We are Authorised Dealers for Workhorse Custom Chassis, offering back up to all Workhorse Customers, and the benefit to our Customers is that they receive a Full 3 Year Workhorse Chassis Warranty on there new motorhome purchased by ourselves. We can also service, and carry out diagnostic checks for Ford, Cummins, International & Chevrolet. 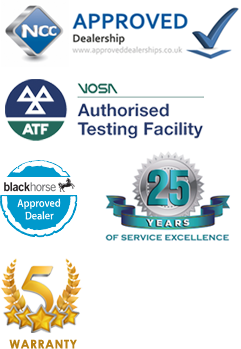 Chassis diagnostics can also be undertaken for Workhorse, Ford, Chevrolet, Freightliner & Roadmaster. So ring us today for a chat, or even pop in for a drink, Signature RV will be there to help and advise on you’re next move or even you’re next Trip! Why go to anyone else other than Signature RV to satisfy your RV dreams and requirements? With years of experience in the industry the guys at Signature (formerly Westcroft Motorhome Centre) are the guys to speak to first! Whether its a new or used American Motorhome, parts or service you require – We can deliver! We pride ourselves on being friendly, efficient, professional and caring. Check out our new and used Motorhomes, and service deals. We not only stock new Thor Motor Coach (formerly Damon & Four Winds), Forest River – we have pre-owned vehicles too. 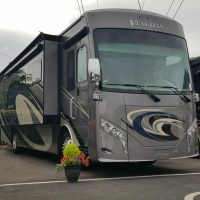 We also specialise in importing your own RV, servicing, conversions and parts to complete the all round needs of the American Motorhome fraternity. All our new stock is sourced directly from Thor Motor Coach, Fleetwood & Forest River. Over 25 years of experience in dealing with American motorhome sales and service.